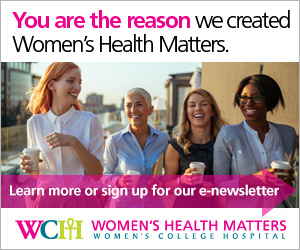 Women's Health Matters - Don’t let holiday cheer turn into holiday fear! Make this holiday season stress-free! Feature Articles » Don’t let holiday cheer turn into holiday fear! Make this holiday season stress-free! Don’t let holiday cheer turn into holiday fear! Make this holiday season stress-free! Holidays can be a time of joy and relaxation, love and cheer. That is, if you’re not the one responsible for all the cleaning and decorating, planning and hosting, baking and cooking, wrapping and socializing – aside from fulfilling your everyday to-do lists, of course. When this is the case, holidays can be particularly stressful. And the stress tends to fall on women’s shoulders. This doesn’t mean that men aren’t involved in the prepping and planning that accompanies holiday parties, but women generally take on this role. Women often strive to be superwomen – they work, manage kids, look after their partners, study, make meals and keep a neat house. While the can-do attitude is motivating for some, for others it can cause stress and anxiety – two guests you don’t want at your upcoming holiday events. What triggers holiday stress and what can we do to reduce it? Marlene Duarte Giles, professional advisor, social work at Women’s College Hospital and psychotherapist in the Trauma Therapy Program, explores the topic of holiday stress and where it comes from. She shares a top 10 list of tips to help you and your loved ones get through this holiday season – in a happy and stress-free way. Where does holiday stress come from? “Holiday stress can come from a world of pressures,” explains Duarte Giles. “External pressures linked to family obligations, traditions, school and work; internal pressures that women place on themselves where they believe they can do it all and do it alone; societal pressures associated with images in the media that portray the holidays as a time of joy and happiness, and even cultural and religious pressures,” she says. When the expectations that we have don’t match up with the reality of the situation, we get stressed. “Keeping up with external pressures is hard enough and when you add your own personal high expectations, it’s no wonder that stress increases,” Duarte Giles says. “But there are ways to mitigate holiday stress,” she assures. The perfect holiday spent with perfect family eating the perfect meal may not actually exist. Instead of aiming for perfection, she suggests cutting down stress and having a happy and relaxing holiday season that’s filled with joy and laughter. “It’s important to set realistic expectations for yourself and your family, and to realize that it’s OK to do things differently or not at all,” says Duarte Giles. Try starting new traditions where you aren’t the only one managing holiday events. Ask friends and family to contribute food for a potluck or consider buying prepared food. Come up with creative holiday shortcuts. If you have a larger family and shopping for gifts is overwhelming (and costly!) try something different like drawing names, or donating to a charity in their name. “It’s not necessary to continue the same traditions every year and to force yourself and your family to do things that you don’t want to and aren’t able to,” Duarte Giles says. Remember to give yourself the opportunity to try something different. If a full day spent with that one particular aunt or cousin causes you and your family great stress, then maybe spending only a few hours is enough. It’s OK to set limits on what you are willing and not willing to do. “Face stress by setting a timeline and target dates that set apart the realistic from the unrealistic. Look at your resources, time and energy, and adapt to changes,” explains Duarte Giles. Putting your plans on paper can be a great way to visualize how realistic your plans are. Use a calendar to fill in your events and personal tasks. For each, decide whether it’s possible to attend or complete it by assigning each with ‘yes,’ ‘no,’ or ‘maybe’. Take into account your own needs and priorities and make sure to balance expectations. “Before you get overwhelmed by all the activities you have lined up, it’s important to decide what traditions offer the most positive impact and try to eliminate the unnecessary activities that usually bring you the most stress,” Duarte Giles says. “People have different means, norms, values and cultural understandings of what the holiday season and gift-giving means to them. Be aware of this and your own financial obligations,” explains Duarte Giles. It may be helpful to talk about budgets in advance with family and friends. Starting that conversation can open up doors, relieve stress and help you get organized. Setting budgets for gifts and party planning costs lets you be realistic with your finances. It can help reduce financial stress during and after the holiday season, when the bills start to pile up. “Remember that things don’t always go as planned and be prepared to let go of some of the control. You don’t need to take the lead on everything and you really don’t need to beat yourself up if things don’t go exactly as planned,” she says. Don’t worry if your plans aren’t running as smoothly as you anticipated. No one will notice if things aren’t perfect. Only you will know that the napkins don’t all match or that you forgot to serve a dessert dish only to discover it at the end of the meal. The holidays are about the experiences with friends and family and the memories. The number of desserts and perfectly decorated dining tables are extra. “Remember, you can do it all, just not all at once,” she says. “Women have traditionally been phenomenal caregivers and can often meet their various roles as mother, daughter, wife, coworker, etc. Because of this, it’s easy to forget to ask for help,” says Duarte Giles. It’s OK to ask for help and delegate responsibility. By including friends and family in your tasks, you will show them that the holidays are a joint effort. Also, asking for help can ensure that the tasks get completed and that you aren’t too worn out at the end of the day to actually enjoy them. “Remember that the holidays are a time of reflection and restoration,” says Duarte Giles. Remind yourself what the holiday season represents and surround yourself with people who bring joy and meaning to your life. Focus on time with family and friends and create new memories. “Sometimes women have so much going on in their lives that they are overwhelmed with activities,” says Duarte Giles. Teaming up with friends to get tasks done can be fun and effective and also gives you time to socialize and focus on yourself. Duarte Giles suggests remembering that some people may feel alone during this time and need help making it through the holidays for different reasons. Volunteering and becoming part of the community can be a great way to be surrounded with people, cultivate meaningful relationships and develop a sense of belonging. Letting people know that you don’t have a plan and that you’d like to be involved can help relieve stress from someone else and can also help bring you into the community. During the holidays it can be easy to abandon your healthy habits and commit to ‘dieting in the new year.’ However overindulgence only adds to your stress and guilt, so it’s important to not let the holidays become a free-for-all. You don’t need to cut out all your favourite holiday treats, just choose to stay in the range of moderation. “Some indulgences may be small, like having a few extra chocolate truffles, while others can be more serious, like drinking excessively and finding yourself in an unsafe situation. Be aware of the difference. If you need help discerning between overindulgence and more problematic behaviors speak to a health professional,” suggests Duarte Giles. Know your body and limitations. “The goal is to face the new year rested and rejuvenated. Do less and ask for help more,” suggests Duarte Giles. Allow yourself to experience joy and happiness with others and take the time to tell people what they mean to you. It’s easy to get wrapped up in everyone else during the holidays, but it’s important to take some time off and recharge. Take 15 minutes a day and devote it to yourself – take a bath, read, meditate, shop – whatever you enjoy. “Keep in mind that the holidays don’t have the same types of memories for everyone. For some, holidays can be filled with warm memories and family traditions, while for others, it can be a time filled with sadness, disappointment, hurt and loneliness,” says Duarte Giles. It’s important to acknowledge the feelings you may be having and speak with family, friends, or a health professional for support. Volunteering can be a great way to help others in need and can help you feel less isolated. Don't be embarrassed to ask for help. There are plenty of resources available at the Mental Health Program at Women’s College Hospital and the Online Mental Health Centre. “The holiday season should be about more than just running around for the perfect gift and the ideal place setting. Take the time to figure out what the holiday means to you and focus on what makes you happy this holiday season,” says Duarte Giles.